Gorgeous!! 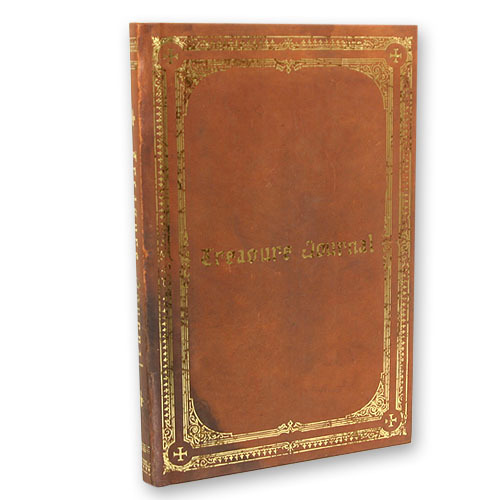 This brown and antique gold hardbound journal is beautifully designed to go along with your Legend to the Treasure Class in look and design. It is the perfect compliment on your bookshelf to the Legend to the Treasure Book and the Shipmate's log. If you have notes and scriptures you would like to preserve for future generations or if you take notes during class- you will love this journal! !